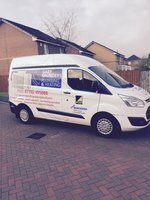 Gary Saunders Plumbing and Heating is a Family run Business that serves West Lothian, Edinburgh and the surrounding areas. We do all aspects off Plumbing and Heating, and hope we can provide you with our fast, reliable and quality service in the future. Gary fitted a new combi boiler, radiators and pipes. He advised us on the best boiler and radiators. We wanted new column radiators in two rooms which Gary also advised us on. He was efficient, polite and all his other work colleagues were the same. Gary recently fitted a new woster bosch boiler for us, for a very reasonable price. He carried out the work promptly, fitting us in at short notice when we realised our existing boiler was fast reaching the end of its life! The work was carried out to a high standard, and we have since had Gary back for another couple of smaller jobs. We have continued to find Gary reliable, helpful and efficient and would have no hesitation in recommending him to others. We have had problems with a gas boiler which was fitted by another company. Gary has patiently and professionally tracked the problems down and sorted them for us which was not an easy task. Gary had put in a new gas boiler gave us good advise on which boiler would suit us. He also put in a new designer radiator . He is very tidy worker and only to happy to give advice. We have recommended Gary to our neighbours. Great Guy great service. Done what he said he would when he said he would. All you need from a trade. Best plumber we have used. Gary installed a new boiler at very short notice, the new boiler was fitted within a week of the old boiler broke down. Excellent service. Gary installed and relocated my new Worcester boiler. He provided a clear quote which was very reasonable in comparison to a quote given by another company. He arrived on time and the boiler was installed quickly and efficiently leaving no mess . Gary then took the time to explain how to use it. I would certainly recommend him and will be contacting him in the future to replace the central heating system. Easy to Deal with Quality Work! Garry installed a full new boiler and central heating system as well as fitting and mounting a number of bespoke radiators. He has since been back to complete my first years service and as ever he was on time explained everything and talked me over the questions I had. Not only would I be happy to recommend him but Garry will be the only Plumber i'll have back to complete any work I have. Top job all round.